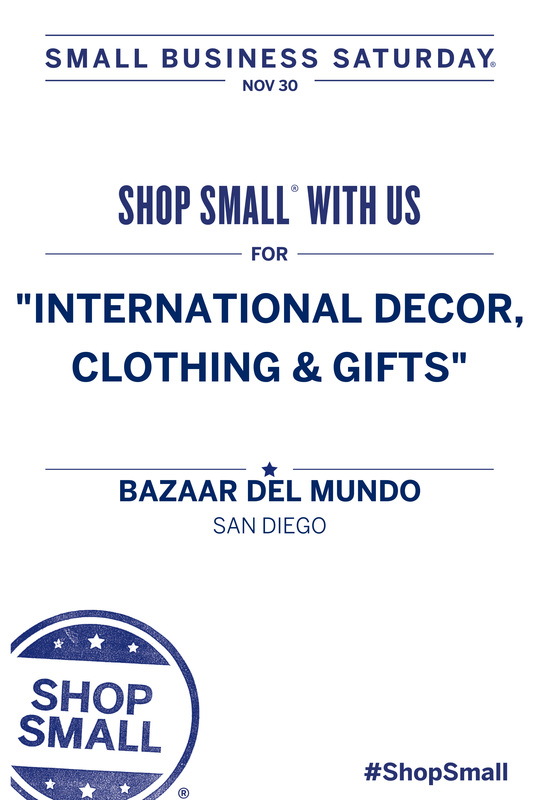 Join us at Bazaar del Mundo on Nov. 30th for music, treats and a merry environment to get an early start on your holiday shopping. Browse our collection of handcrafted artisan jewelry, home accessories and collectibles from all around the world, creative fashion, arts and crafts, hundreds of cookbooks and whimsical ornaments in all different styles and colors to adorn your Christmas tree! For a shopping break, dine locally at Casa Guadalajara next door. Sip a frosty margarita, nibble on the Antojitos Platter and indulge in the Carne Asada Tampiqueña – and when you do, know that you are supporting a local business in your neighborhood. This entry was posted by The Bazaar del Mundo on May 7, 2014 at 8:28 pm, and is filed under Uncategorized. Follow any responses to this post through RSS 2.0. You can leave a response or trackback from your own site.